This blog post will explore modern viewpoints pertaining to the ethics of artificial intelligence. I examined three different sources for my second blog post. 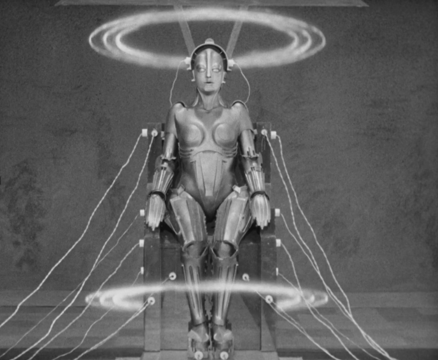 The first is a viewpoint on the topic of artificial intelligence from Nature. The first author, Stewart Russell, discusses the implication of creating autonomous weapons systems and describing their implications in the real world. Russell describes the following scenario, writing “the technology already demonstrated for self-driving cars, together with the humanlike tactical control learned by DeepMind’s DQN system, could support urban search-and-destroy missions” (415). Russell describes a domino effect – if one country adopts these methods in warfare, others will follow, creating a more ruthless or at least caustic international climate. Russell then cites the Geneva Convention, which are agreed-upon laws that govern what is allowed in international warfare. Russell writes of “military necessity; discrimination between combatants and non-combatants; and proportionality between the value of the military objective and the potential for collateral damage” (416). The author is keen, in my opinion, noting how carefully-worded the language here is. “Necessity” can really mean anything. As could a phrase like “potential for collateral damage.” Anyone can argue that something can lead to something much worse, so it seems that world leaders are always teetering this line of what is and isn’t justified. We think of this often when it comes to chemical warfare and “world-ending” buttons, but more rarely is the concept applied to AI. Russell concludes with a call for collaborative research between relevant professionals and action even from the public. Ethics experts should work with scientists and normal people should be consulted in the form of town hall-type settings as well. To do nothing and let countries become laxer with incorporating crueler forms of AI technology in warfare is the worst response, according to Russell. My second source was web content from the London School of Economics and Political Science by Mona Sloane entitled “Making artificial intelligence socially just: why the current focus on ethics is not enough.” Sloane makes a similar call to Russell, echoing the notion that people within many fields should come together for meaningful dialogue and better resolutions around the issue. Sloane’s issue is not with AI in a military setting, though; the beef here is with how AI can play out in another way among world powers: How do ethics in AI play out in an economic landscape? Sloane describes an inter-connected weave of public and private funding for advancements in “Ethics Research in AI.” Everyone from whole countries to corporations like Facebook invest in the testing done to fix everything from malfunctions in driverless cars to making Facebook algorithms more inclusionary and less prone to the spreading of false information. Sloane advocates for a super critical look at AI, and is adamant that no one be marginalized by AI on a broad scale, also emphasizing the importance of “data transparency” between user and interface.  Themes of “technology, data, and society” were stressed by the author as needing to be bridged in order to meet the need for critical examination of what ethics in AI looks like in the modern world. My final source is a conference presentation that the authors turned into a paper, describing, as the previous ones I’ve examined, how ubiquitous AI is, but panning the need for AI to be critically examined through an ethical lens. “1. Consequentialist ethics: an agent is ethical if and only if it weighs the consequences of each choice and chooses the option which has the most moral outcomes. It is also known as utilitarian ethics as the resulting decisions often aim to produce the best aggregate consequences. Deontological ethics: an agent is ethical if and only if it respects obligations, duties and rights related to given situations. Agents with deontological ethics (also known as duty ethics or obligation ethics) act in accordance to established social norms. These are general in that they all apply to being a good person, but they are also relevant in dealing with the murky water of AI. The conference authors list, like Russell, a multitude of areas that this touches; unique in context with the others is a discussion on cryptocurrencies like Bitcoin. Having a digital currency is something that would have been hard to perceive of growing up. But if you think about it, now there is basically an AI-tinged version of everything. Applying these themes to definitions people had of AI in the 1950s – a Bluetooth in your ear would qualify under that eras definition. We take for granted the ways we interact with AI, becoming less scared of advancements as they infiltrate our lives, always worrying that the next advancement might bring about some metaphorical dropping-of-the-other-shoe. Calls to action expressed by the authors are necessary, but I have confidence that humans will figure it out like we always have. 28 May 2015, Nature Magazine, Vol. 521. “Ethics of Artificial Intelligence,” Russell, Stewart. 415-17. 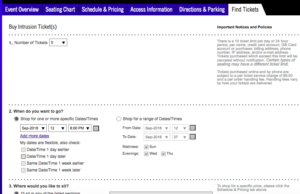 Ticketmaster.com is a convenient and expedient resource used for buying tickets for a concert or event. This resource allows its user the gratification of choosing precisely which seat they want from a list of available ones. Seating charts for each venue show which spots have been taken and which are still available. You can customize your search of available tickets by isolating based on closeness to the stage, price, or whether there are enough tickets available for your party to sit together. The smaller, blue photo in the top right of the larger one above is the first picture you see with events hosted in a large, arena-sized venue. The seating charts show users sections of the venue via a visual. For a large venue like Radio City Music Hall, you can’t see individual seats until you zoom in. still, you get the general layout of the venue. Hover over a section of seats in the blue, smaller visual, and you see how many tickets are available, starting with the lowest price tickets in each section. 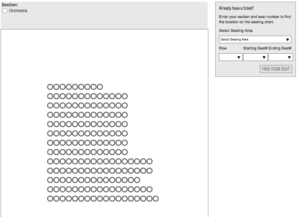 If you click on a section or zoom in, a more detailed representation of available seating is shown. In these seating charts, individual seats still unsold are visible, in red and blue dots that represent a resold ticket and an original face value one. Though this more detailed graph is only available after the user zooms in, it is very helpful in showing concretely which seats are left and where they are in relation to the stage and other parts of the venue. The chart below, for example, is for an upcoming The Book of Mormon show. 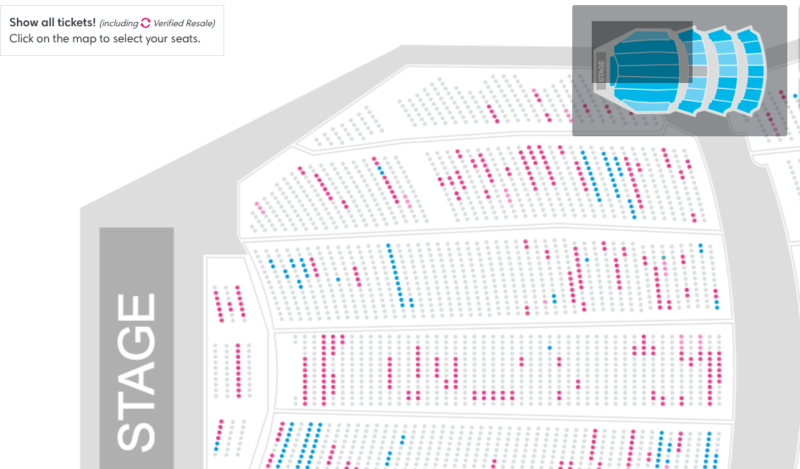 Upon viewing this Ticketmaster seating chart for The Book of Mormon, other ways in which the user can control the type of seat/ticket they want become evident. In the menu at the top of the photo, ticket purchases can be controlled by amount of tickets desired, seats according to price, and even whether the purchaser wants standard admission, premium seating, partial view seating, or disability seating. This is very user friendly, and allows the user to be in control. 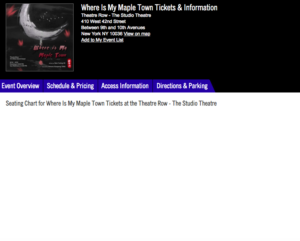 Another useful tool that some theaters on Ticketmaster utilize can be seen in Birmingham, Alabama’s The Alabama Theater listing. is located in Birmingham, Alabama, my hometown and the birthplace of American Civil Rights. 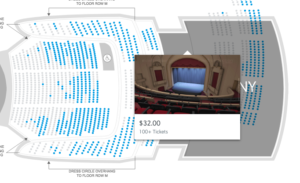 Hover over a seat in the Alabama Theater seating chart, and Ticketmaster provides a view of what the stage will look like from the seat in question. I go to a play once every two or three months since I’ve moved here. If you want to see something that is somewhat under the Broadway radar, you go to independent sites. Off Broadway shows are rarely going to be on Ticketmaster, so anyone interested must to go to these websites or the website for the theater. So how do these smaller websites catering to niche users fare when it comes to a more niche website for theater tickets only called Telecharge.com. In my opinion, a resource like “small fish” Telecharge rarely serves the needs of the user as efficiently as Ticketmaster, “a big fish” who I have few critiques for. Take this seating chart/ticket-buying page for Telecharge. I will break down why I think that this visual seating chart and its implications for the user are less effective than Ticketmaster. 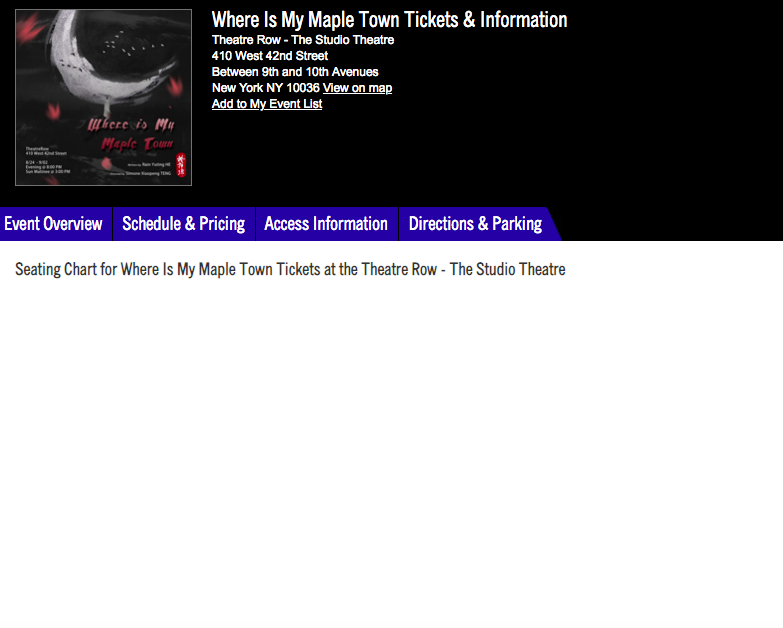 Telecharge only sells tickets related to theater events. Ticketmaster already assumes, perhaps, that the user will be familiar with an event, but Telecharge describes all of the plays, in depth, moreso than Ticketmaster. Telecharge’s functionality suffers when it comes to buying tickets and knowing where seats are. But the usefullness surges if you are trying to find out who is in the play, their role, and the history of the play. Telecharge hits all those points in ways that Ticketmaster does not. 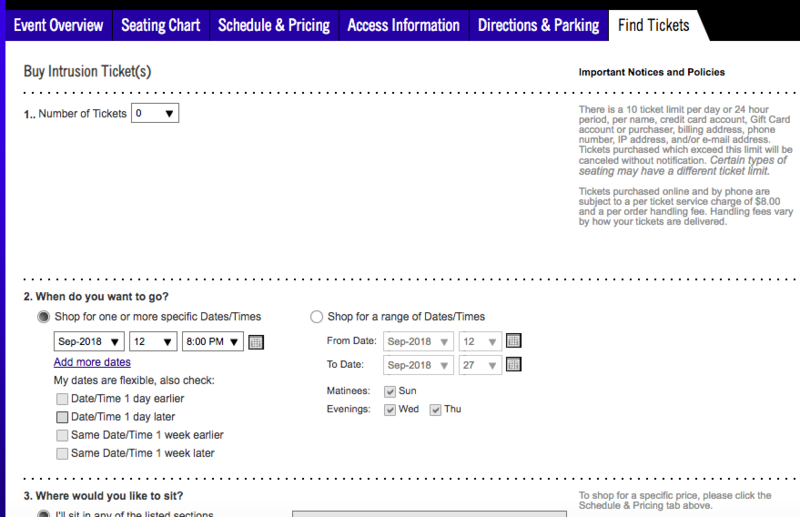 With Ticketmaster, there is always a chart available even if concert is scheduled. Often, on Telecharge, the information was inconsistent. In some cases, the user will have to visit other websites to find out the issue with a particular show. That being said, here is an example of a Telecharge seating chart that was there and I will outline the limitations. At the beginning of this blog post, Ticketmaster’s expediency was highlighted. A key example of this is seen in the photo above and the following one. As you can see, the Telecharge method of buying tickets is not as fluid as Ticketmaster, where a user can click on a seat, see it’s availability/price, click on it, then check out in one step. There are more steps with a service like Telecharge that, in my opinion, do little. Compare to this website, Ticketmaster becomes a time-saving agent, clearly better designed and with the user’s convenience always at the center – moreso than Telecharge. Norman discusses the idea that as technology increases, that the complexities of how we deal with it will too. But a service like Ticketmaster, when compared to Telecharge, advocates for more technology making things simpler. 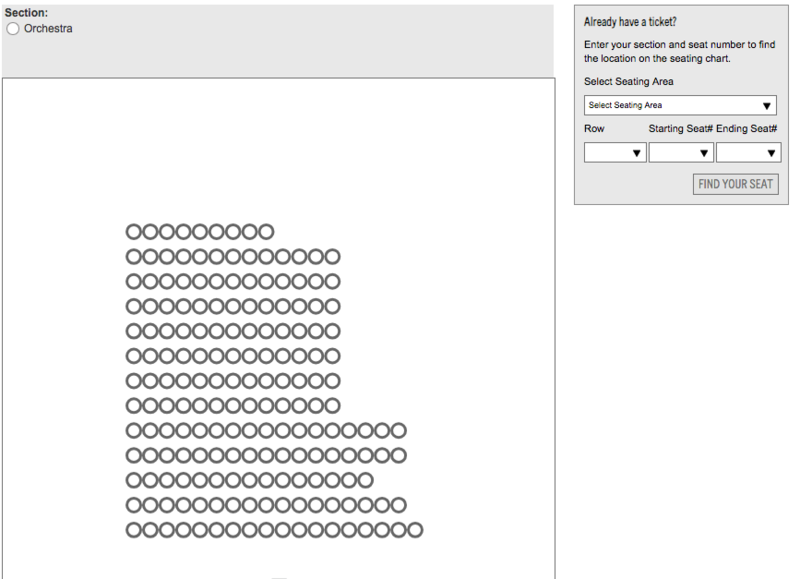 Having the seating chart on Ticketmaster also serve as the Amazon.com-esque “Shopping Cart” seems like an idea Norman would love. It isn’t the clock with “advanced technology” that only makes the watch harder to figure out – the seating charts, in my opinion, are an example of more technology making things simpler. Many services seem to only work for one category in the trifecta that Norman describes pertaining to “designer, manufacturer, and purchaser.” Ticketmaster serves all of those roles.